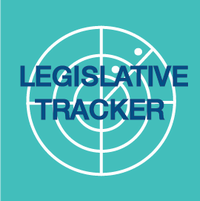 This handbook gives you the tools necessary to make FMA’s legislative agenda a priority within Congress. With thousands of special interest groups advocating their unique issues and perspectives before Congress, it is imperative that FMA sustain a concerted front-line effort to keep Congress informed – and hopefully, supportive – of our positions. Constituents’, a.k.a. voters', voices make the largest impact on Capitol Hill – just ask any incumbent lawmaker. Without you, our collective voice falls silent. Grassroots efforts are the most crucial part of FMA’s legislative operation. Action letters, phone calls and e-mails to FMA members’ representatives in Congress are the true source of the Association’s political power and influence. Every time an FMA member writes a letter, makes a phone call or sends an e-mail to an elected official, he or she is making a certified deposit of political capital in the advocacy bank of FMA. FMA Region Directors and Chapter Presidents, along with Legislative Action Team (LAT) Leaders, are the catalysts for encouraging this participation. As we fight for time with our representatives in Congress in this busy political climate, we must illustrate our priorities clearly and concisely. Indeed, our grassroots efforts to promote our legislative agenda and affect policy making become all the more critical in what promises to be a busy congressional schedule. 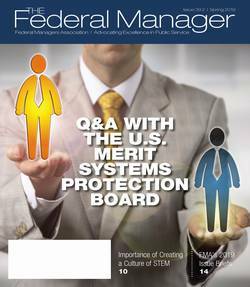 As federal employees remain a target for deficit reduction strategies, FMA faces many challenges in the months and years ahead. As we begin the first session of the 116th Congress, it is up to you to do your part in helping all of us step-up our efforts to expand our sphere of political influence. FMA members’ actions are critical to ensure the Association’s voice remains strong on Capitol Hill. Call your Members of Congress, contribute to FMA-PAC, and get active! The quality of your career, service and life depends on it. FMA’s voice on Capitol Hill can be a powerful mechanism for change. Over the years, important issues such professional liability insurance reimbursements for Transportation Security Administration supervisors; a sick leave credit for Federal Employees Retirement System workers; a transition to locality pay for civil servants in Alaska and Hawaii; and, phased retirement, providing retirement-eligible employees the choice of switching to part-time work, drawing a partial salary and a partial annuity have gained significant attention and progress in response to our grassroots campaigns. Through direct contact with congressional offices as well as the strong support of an active political action committee, we can continue to keep our voice heard loud and clear throughout the halls of Congress.